This is a very quick and easy pattern. 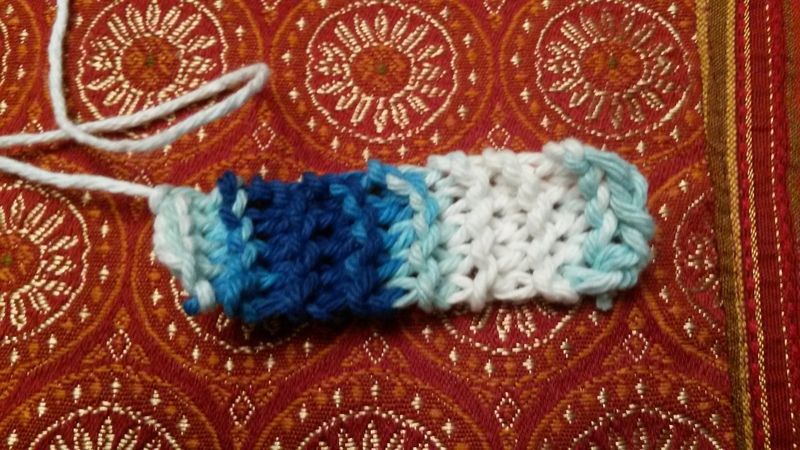 Basically, you just need to knit two rectangles and sew them together to create the headband. And who doesn’t love some stash busters? I mean, the faster we use the yarn we have saved, the faster we can go to the craft store and buy some more!! 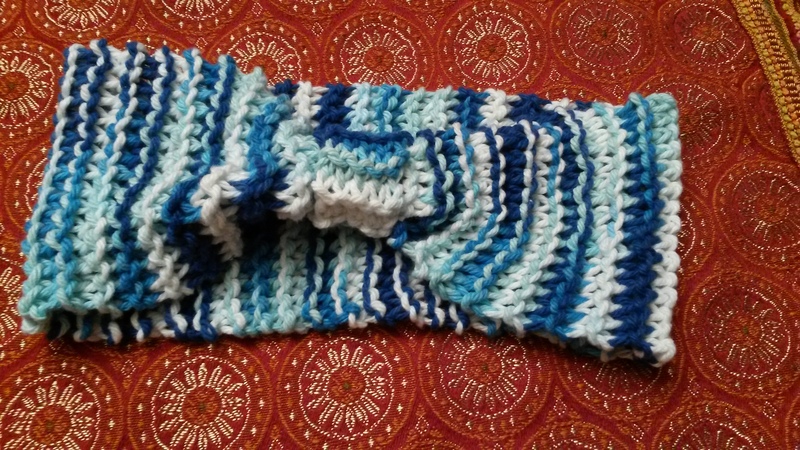 If you are a beginner knitter like me, this project is good for you, you will finish in no time, and without any headaches that you might get when trying to follow complicated patterns. They are for later when we get some more practice. Knitting needles US number 8.
knit all rows until you get desired length. Knit on each row for 15 rows. Sew the little rectangle on the headband, hiding the seams.